The Cupertino company unveiled an improved family of Xserves, based on the Intel “Nehalem” Xeon processors. "The Xserve is the best workgroup server for our education, business and creative customers," said David Moody, Apple’s vice president of Worldwide Mac Product Marketing. "With up to twice the performance, better power efficiency and an innovative SSD drive option, this is the best Xserve we’ve ever made." 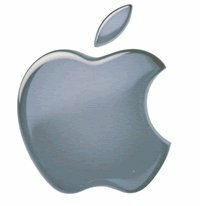 – an unlimited client license for Mac OS X Server version 10.5 Leopard. – a 750W redundant power supply.